It seems many people still use Winamp to listen to the stream. Two weeks ago, my radio software SAM Broadcaster began to create unaccaptable bad sound and I wasn't able to solve it. 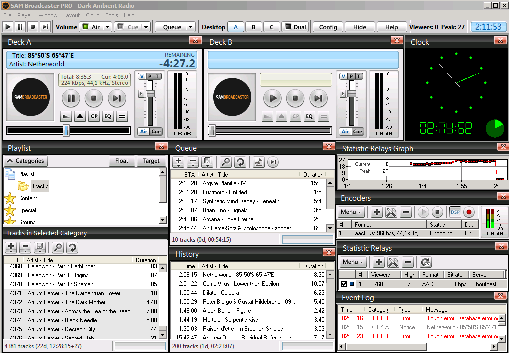 So I looked for an alternative and found a nice freeware: RadioDJ. Because the AltaCast plugin didn't work with the AAC+ encoder, I needed to connect RadioDJ to the stand-alone version of AltaCast via a virtual audio cable (VB-Audio). Getting it running was a rather painful experience.